1. Be logical. Did you attend classes regularly? Are you mentally present most of the time? Did you submit assignments and participated in group activities? If your answer is a resounding yes, then you are not a delinquent student and there is no basis for your panicky thoughts. It is all in your head. If you have been a diligent student, you have quite captured the lessons taught by the teacher. Give yourself due credit. 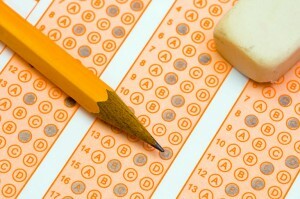 The questions on the exam are based on the daily discussions you had in class. Convince yourself you initially know what needs to be studied. All that is left for you to do is a little review here and there to pass, and even possibly, ace that exam! centrate. The key to this challenge is specifically assigning topics to be reviewed for the day. No one knows your level of learning but yourself. Allot time for topics you still feel uncomfortable with while set relatively shorter time to those topics you already know by heart. A good time management will not only get you good grades but will get you places in the future! 3. Know your study style. By now, you have probably discovered the best studying style that suits you. Every person has their own effective method of studying. Some can be at their best while there is soft music on the background; some prefer a quiet room painted in pink. Some may like to study in front of a mirror and pretend he is in a discussion with someone else. 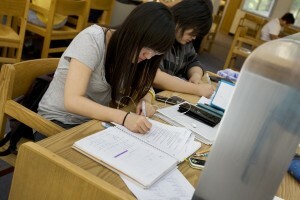 Others prefer the library as their study area as they find the ambiance motivating and conducive for studying. Others cannot concentrate when they are alone; it is during group study that they learn best. When you know the best method that works for you, stick to it. Conditioning your mind in the most efficient, convenient and productive manner is a sure way to retain all the learnings from the semester. 4. Take a break. Some students forget the cardinal rule of taking a break. Too much studying will just result in headache and stress, thus putting your immune defenses at their lowest. This is the reason why some tend to get sick on the finals week. Do not forget to eat properly and take a short exercise in between your schedule. A strong body and a strong mind are important to one’s total well-being. Scheduled breaks are healthy and a good diversion from an intense activity of studying. Don’t be sick on your final exam day. Don’t let all your efforts go to waste. 5. Simulate exam questions. At the end of the semester, review your previous home works and exams taken for the subject. Take note of how the professor constructs his exam. This is important to take into great consideration because the final exams will most likely be presented in that same manner. Anticipate possible exam questions and prepare the answers accordingly. Give the best answer, citing the precise and accurate details. Pretend it is the final exam day. This kind of preparation is a good training for your thinking skills come the final exam day! Taking the exams in the different universities in Singapore can be nerve-wracking and overwhelming. Bear in mind that this is a crucial step in achieving a good education for your future. These exams are not designed to break you but instead are designed to mold you into an individual equipped with proper knowledge. Do not dread preparing for an exam but instead think about it this way: you are now one less exam away from your bright future!